Color coded for keeping wire cables organized. See thru plastic container. Self locking for secure grip. 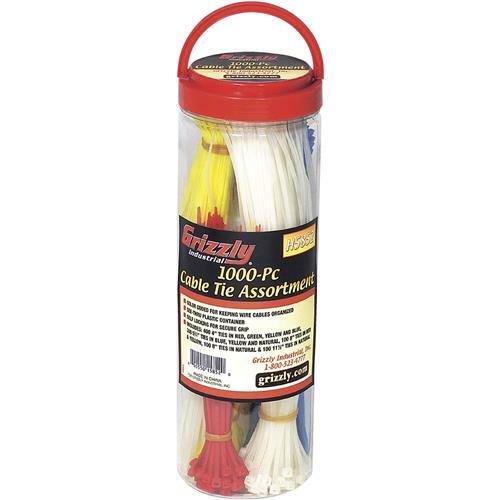 Includes: 400 4" ties in red, green, yellow and blue, 300 5-3/4" ties in blue, yellow and natural, 100 8" ties in red and yellow, 100 8" ties in natural and 100 11-1/2" ties in natural.